Times have changed for hiking navigation. Back in the day (when dinosaurs still roamed the Earth, or 1971 when I started hiking), we had maps. And our wits (most of the time). Or you could use dead reckoning (don't let the "dead" throw you). Regardless of which system you use, the underlying fundamental is knowledge. It will cost you some time and effort to figure out which navigational tools are the most important for the type of hiking you do. But don't begrudge that personal investment, along with the money you invest in it. Staying found (as in, not getting lost) means that you don't inconvenience - or scare - other people. And count yourself in on that! Peace of mind as a hiker is worth way more than the money it takes to navigate safely in all weather conditions. Any idea what this is? Or why it matters to hikers? Maybe wandering around in the woods for no reason appeals to you. Or perhaps you're a hiker who likes to have a real purpose when you hit the trail. If that's you, are you a geocaching hiker? 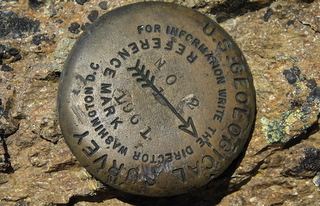 Get up to speed by reading these Geocaching 101 tips. Are we too technology driven? Is it possible to rely too heavily upon technology? Could it lull you into a false sense of security? Or distract you from being safe while in the outdoors? Recent evidence shows a distinct trend. Hopefully you don't rely upon your cell phone exclusively when you're hiking. The chances of getting a signal while under dense forest cover, in a deep valley, or during nasty weather are rather low. whether or not you can survive a night outdoors (the ten essentials stack the odds in your favor). Protect your pricey electronics with a waterproof case. Read my review of an inexpensive but useful JOTO phone case. 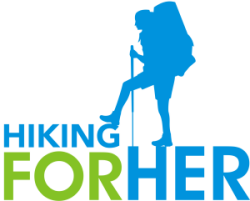 Stay tuned for detailed information on how to use maps, GPS, and other hiking navigational tools. I'm perfecting my navigation skills, and writing down exactly how I'm learning to be comfortable no matter where I am. Recently, my husband figured out a way to use a cell phone with an app to take the place of a GPS system, and I'll be providing details right here. Regardless of where you hike, you need to know a few navigation basics. It pays to stay found, wouldn't you agree?